Because coconut oil has a tolerance for high temperatures, it’s a good substitute for other fats like shortening and butter. It also makes a good pan prep fat, since it is solid at room. Melt solid coconut oil in a glass measuring cup in 10-second bursts in the microwave. The granule size of organic sugar can really vary depending on the producer. Be sure to use a fine crystal sugar for the cookies, rather than turbinado or other raw sugars, for the best texture in the cookies. Coarse crystal sugars won’t dissolve as easily in the dough. Curious about vegan chocolate? While cocoa beans come from a plant and are inherently vegan, as they are processed into commercial chocolate other ingredients can be added that are not. Look for the high-quality chocolate that is produced with only cocoa butter and sugar (sometimes lecithin and vanilla are added—both are okay.) There are also milk chocolates that are made with non-dairy substitutes like almond or rice milk. Having a reliable recipe is essential when you’re re-creating a non-vegan dish in a vegan version. Betty has you covered with a recipe for vegan chocolate chip cookies that’s been developed and tested in our test kitchen. The next step is a carefully reading of all the labels of the ingredients you purchase. If you or a loved one is a strict vegan, be sure to check the labels on sugar, brown sugar and chocolate chips, and watch out for ingredients including “whey, casein, milk, milk fat, and milk solids.” Once you feel comfortable with this recipe, consider mix-ins that make it uniquely your own, such as dried cranberries, chopped nuts or sunflower seeds. 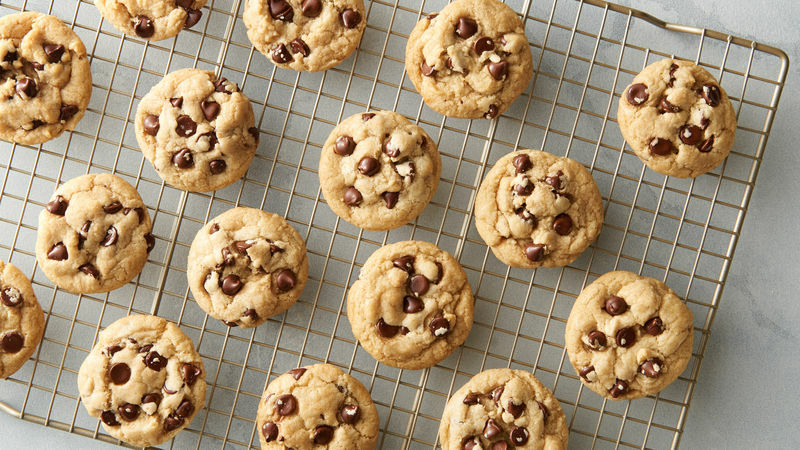 If you’re looking for more tips, check out Betty's guide to making the make the best chocolate chip cookies ever. And or even more baking inspiration, enjoy Betty’s best chocolate chip cookies collection.